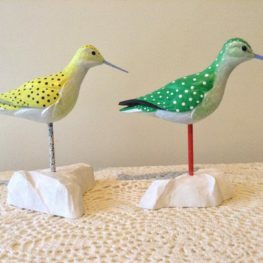 Carve and paint a whimsical sandpiper. Beginners and experienced carvers will sculpt from basswood blank and be encouraged to paint the realistic form with fanciful colors and patterns. Ages: Adults, children 11 and up with an adult.